The ResMed AirFit™ P10 For Her nasal Pillows System for Him and For Her represents continuing innovation and improvements in the already hugely popular and successful Swift™ FX series. The AirFit™ P10 is approximately 50% quieter and 50% lighter than the Swift™ FX . 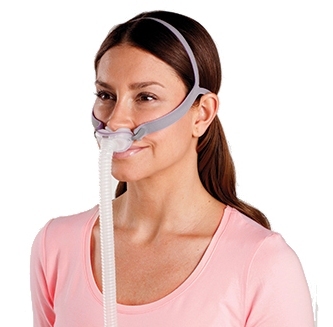 The AirFit™ P10 comes packaged with three sizes of nasal pillows. The For Him with the blue headgear comes with small, medium, and large nasal pillows. The For Her with the pink headgear comes with extra small, small, and medium nasal pillows. The parts kit is the AirFit P10 headgear and the AirFit P10 frame with one set of nasal pillows in the size selected. If you choose this option you do not need a prescription but you will need to assemble the mask yourself. Quiet. The AirFit™ P10 is ResMed™s quietest mask yet and is approximately 50% quieter than other nasal pillow masks. Light. 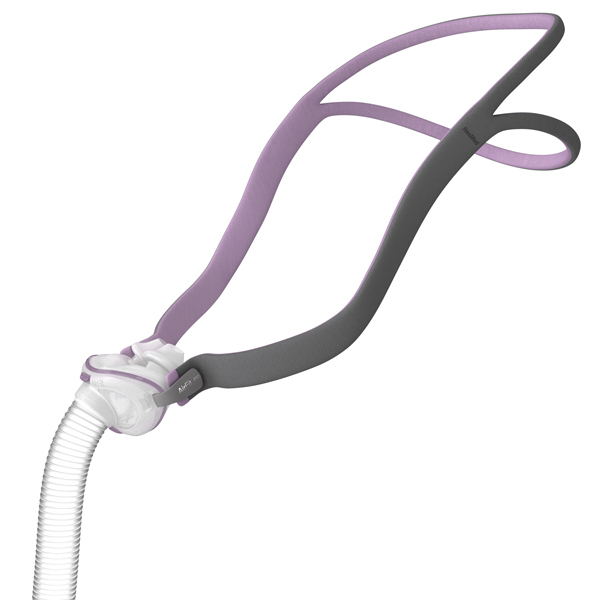 The AirFit™ P10 is approximately 50% lighter than other nasal pillow systems. Unobtrusive. Designed to be barely noticeable, the QuietAir™ woven mesh-vent gently directs air away from patients and their bed partners. Intuitive. The simple sizing and color-coded pillows make fitting easier. Easy to fit. The QuickFit™ auto-adjusting headgear can be fitted in 30 seconds or less and offers premium stability and adjustability. Stable. The innovative headgear is designed to gently stabilize the mask while pulling the pillows firmly into place. If you order the parts kit you get one nasal pillow of the size selected. Q: What is the difference between the blue headgear and the pink sett? A: The P10 For Her includes extra small, small, and medium nasal pillows and the pinkish headgear that is slightly shorter than the blue one. The idea is that most women will have a slightly smaller head than men and the shorter strap will work better for them. The For Him with the blue headgear comes with small, medium, and large nasal pillows. If you order the parts kit you only get one nasal pillow of the size selected.